The Ropemakers - Events - We offer live music, a weekly quiz, monthly cheese tastings, and much more. 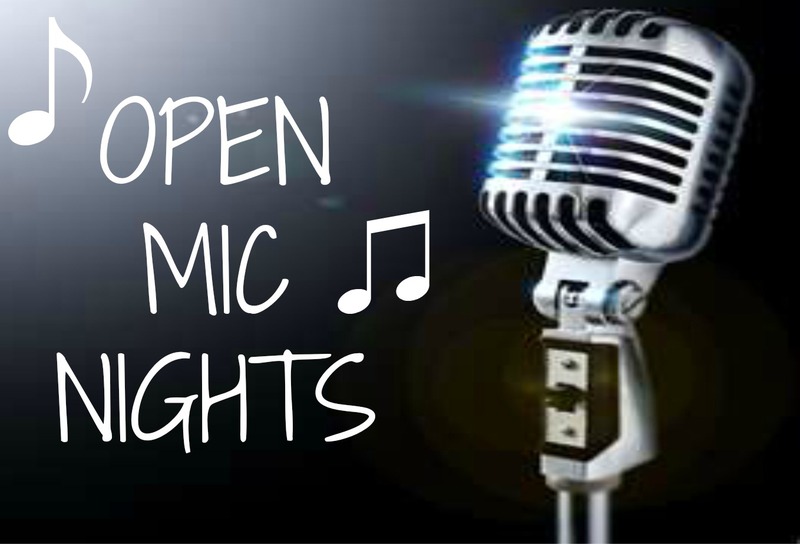 The Ropemakers is a popular local venue offering regular live music, open mic nights, a monthly chese club, a weekly quiz, a meat draw, and various events throughout the year. Well this is going to be a delight. All the way from Finland this three piece folk unit will blow you away with their unique style. 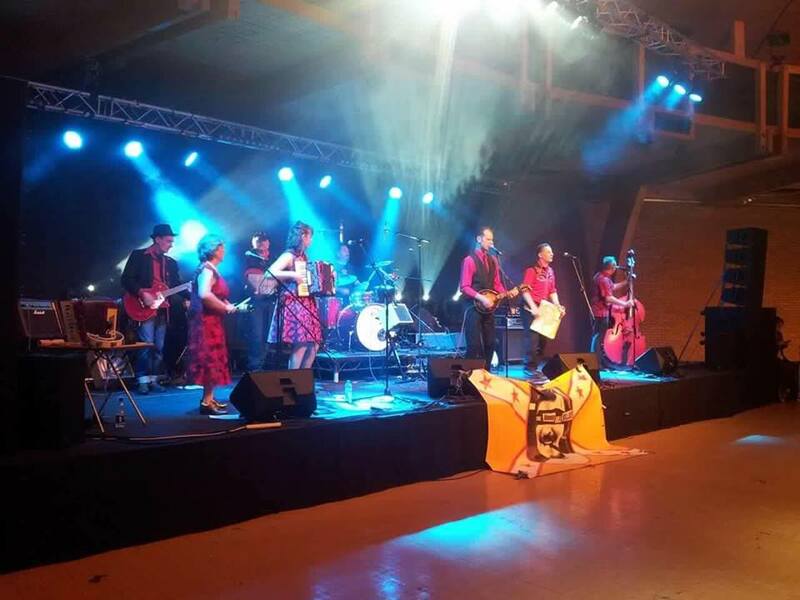 Banjo led and backed by accordion and may be a hurdy gurdy this band are starting to get noticed by some top festival bookers. 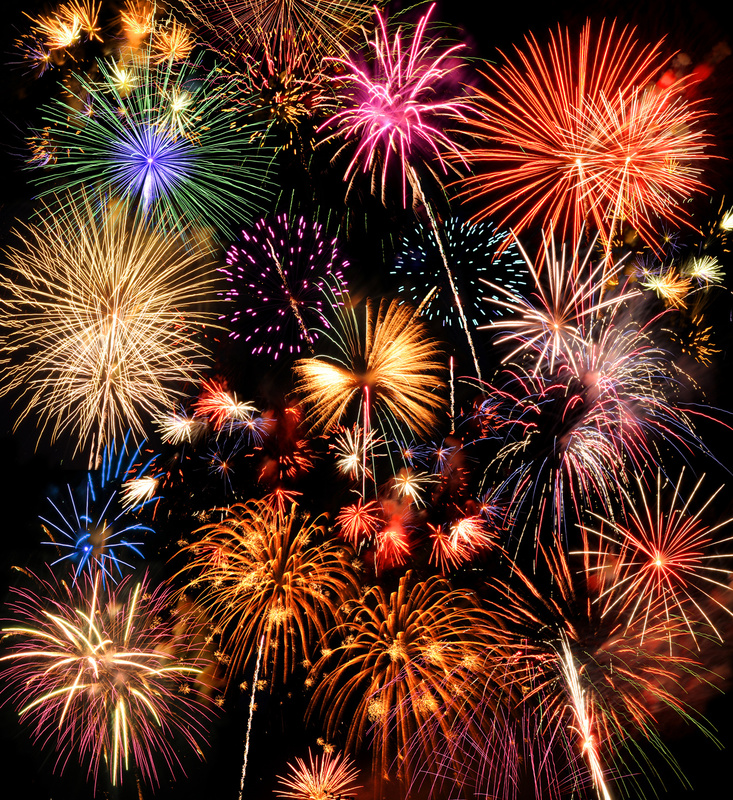 Well, you saw them here first! 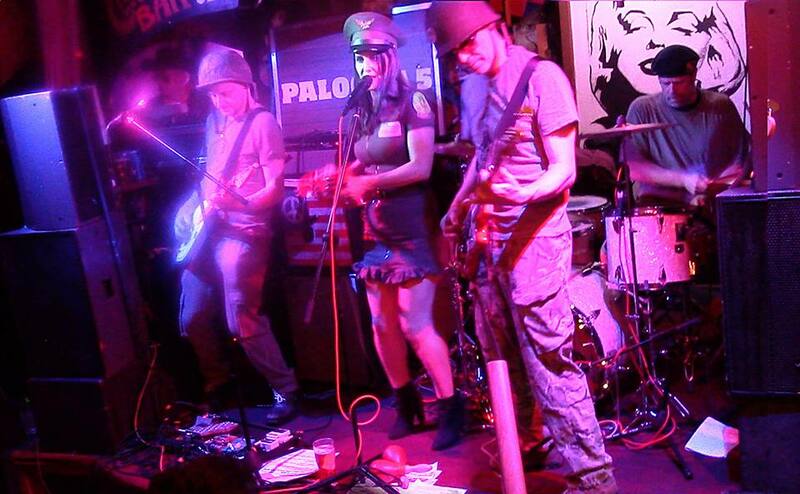 New band for us but sound brilliant and based in Bridders. Psychadelephant - noun [si-co-de-li-fent] - An eight legged mystical creature that appears to music lovers in the form of a psychedelic apparition, known to bring good fortune on a journey. 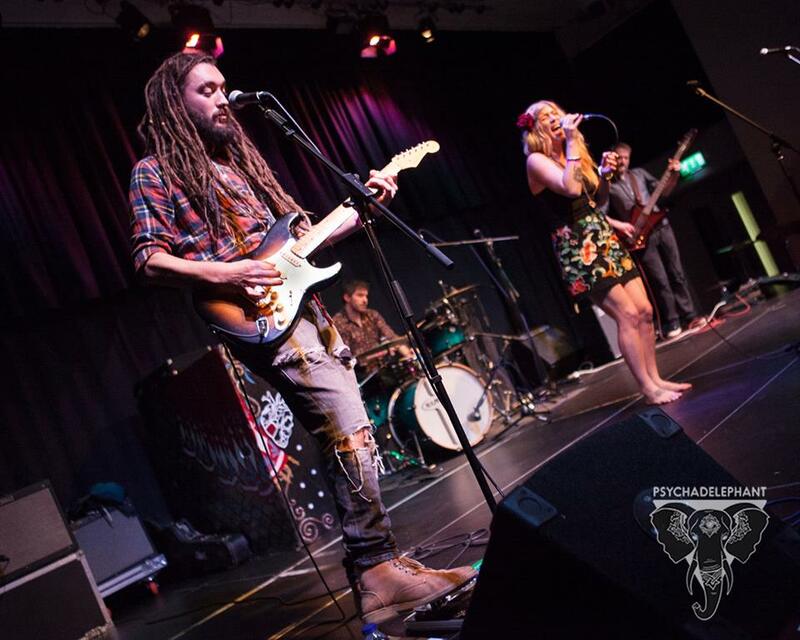 Psychedelic Funk and Heavy Soul 4 piece based out of the deep south west. 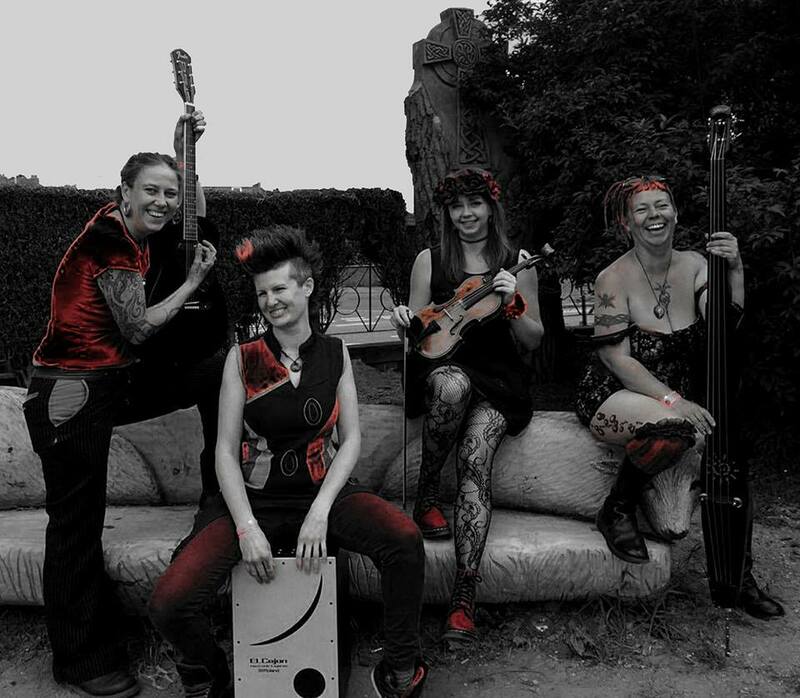 This is an amazing new band from Bridport playing some covers and originals in their own unique way. This is the product of a fusion of ex Cradle of Filth band member Rosie Smith and an innocent young man from West Dorset. 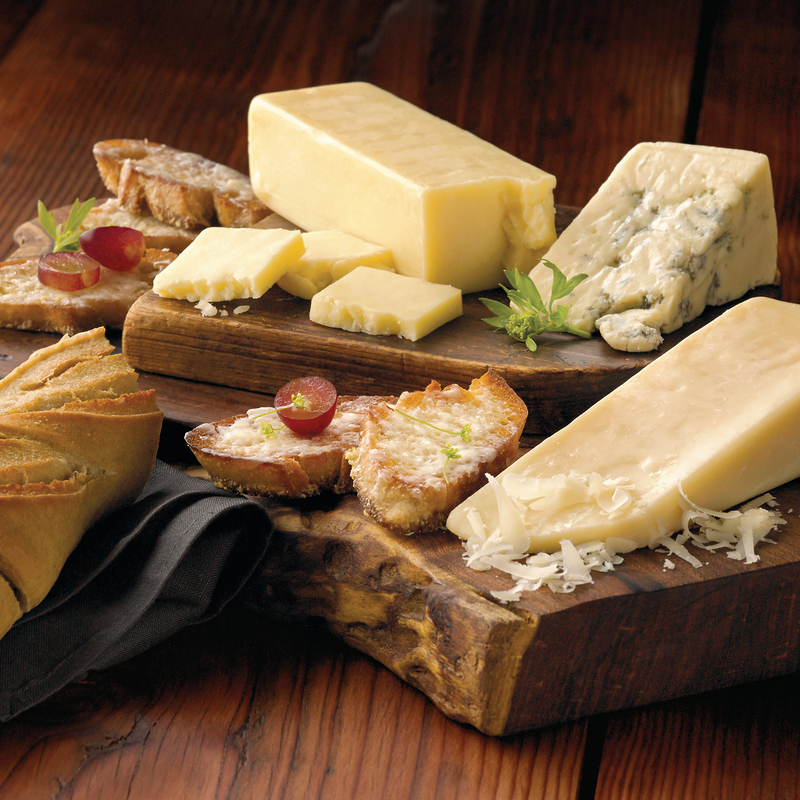 Six superb cheeses all served with a selection of crackers and accompaniments. Tickets are available from the bar at £6.50 each. Get your tickets early for this popular night as we have limited spaces. Booking for this event is essential. 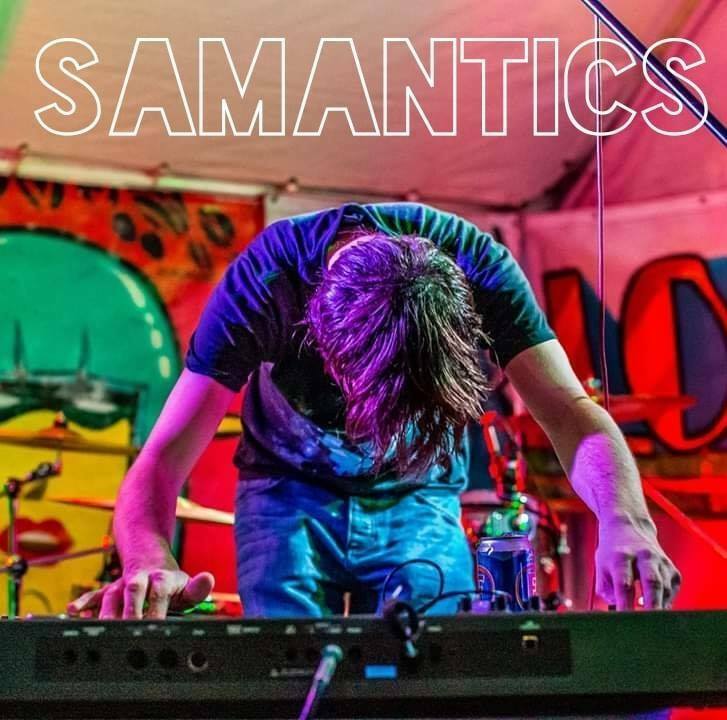 Samantics is a next generation one man band. Using a loop-station and a sh*t load of instruments he creates live, multi-instrumental spoken word. He's not a stereotypical rapper, he's not into maiming and murking Gs but he does like gaming a slurping tea. 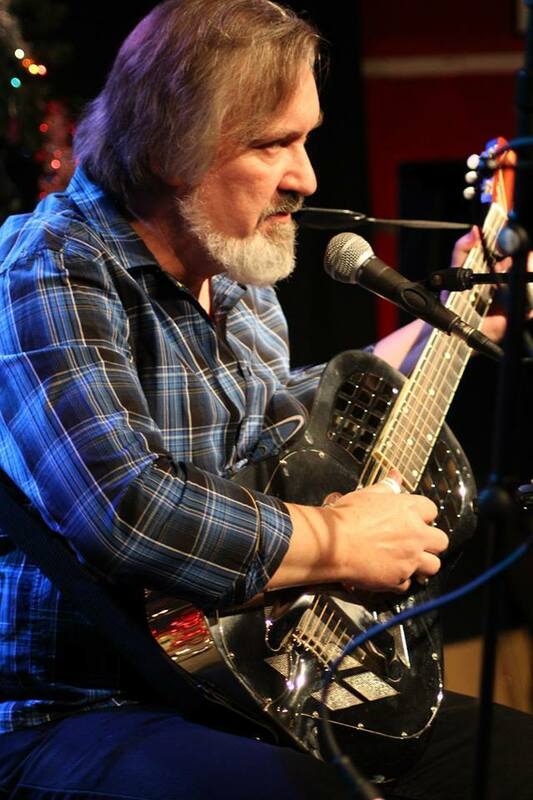 Taking slide guitar out of the "Blues Ghetto" "Why, that's crazy talk!" 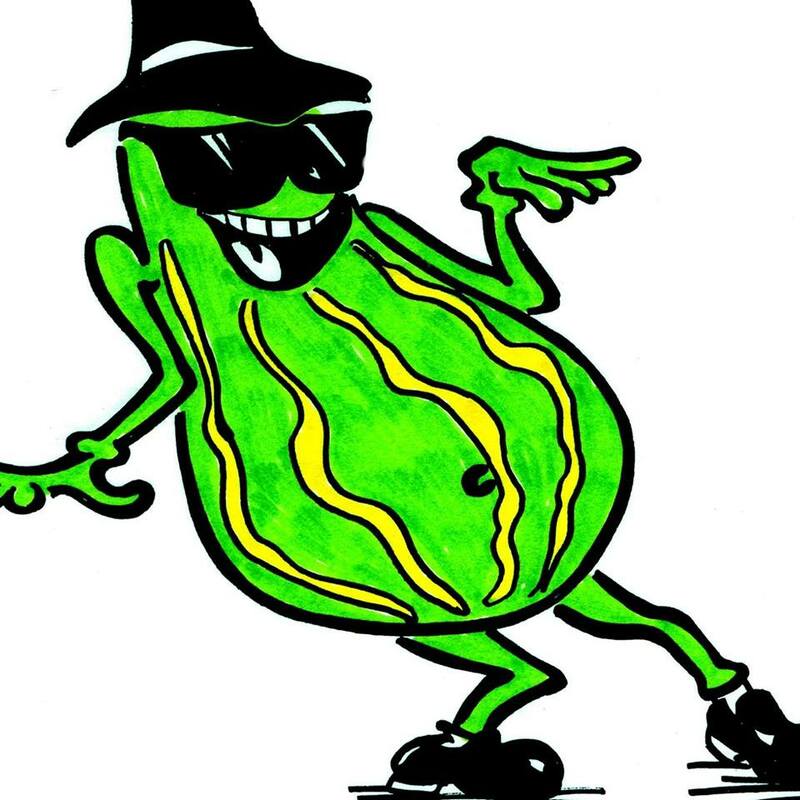 you might say, but Garry’s self-appointed mission is to take slide guitar and its associated open tunings out of the Mississippi Delta and into the wider world. 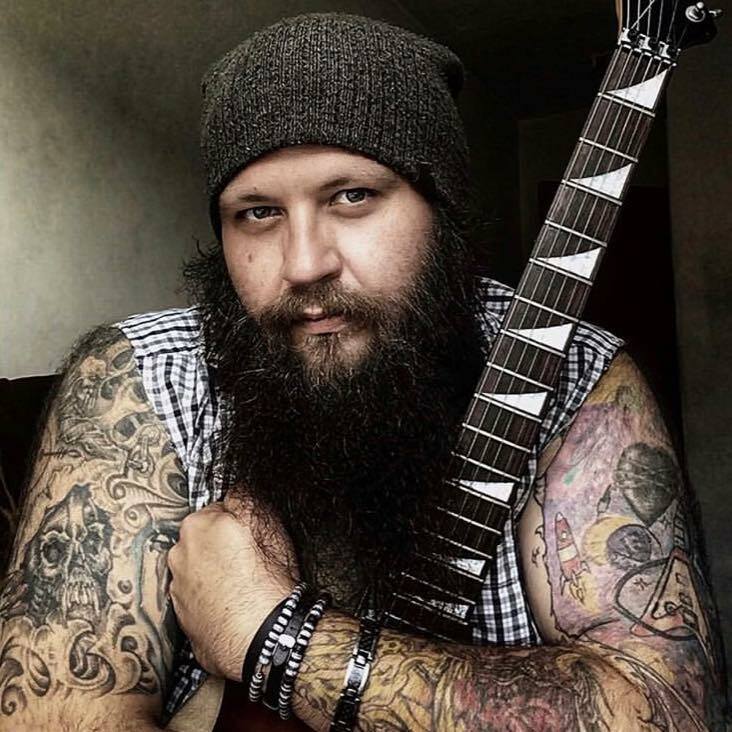 So, using his own songs and instrumentals as well as carefully selected covers I've taken myself on a journey and he’d like you to come with him. 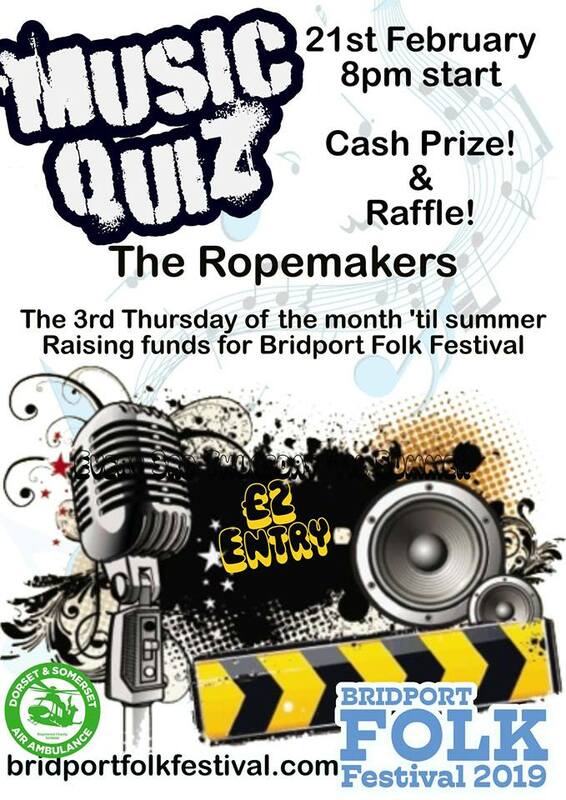 Fundraising quiz for Bridport Folk Festival held every third Thursday of the month until summer. Come and enjoy the music. The Fat Marrow Band play jazzy rhythm and blues with a feel good factor. 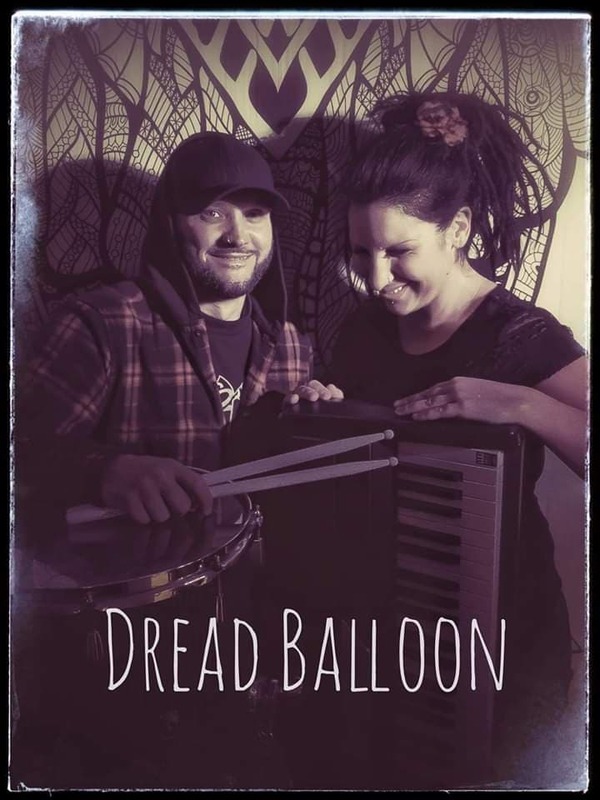 Experienced and reliable we find inspiration in traditional blues music and update and embellish it with brass, harmonica and sparkling guitar to create a fantastic sound. 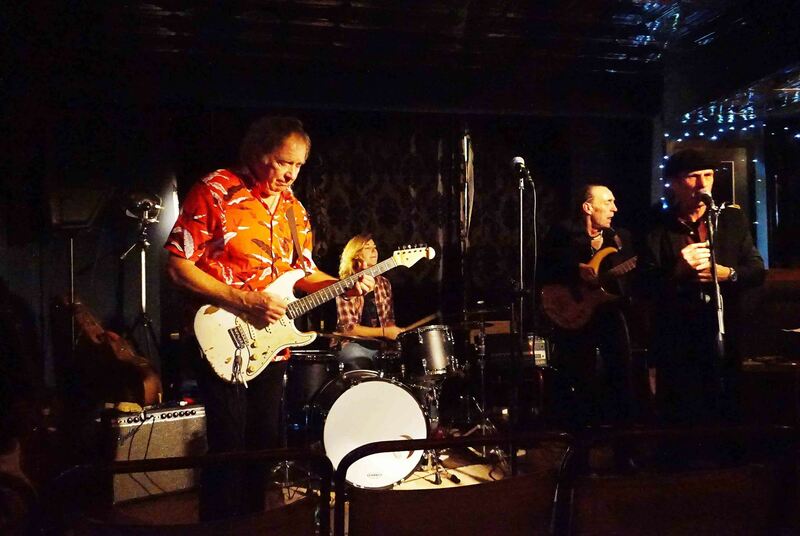 Influences such as Stevie Ray Vaughan, BB King, John Mayall and Robert Cray are all used, and, having played together for some time, the music is tight and polished. 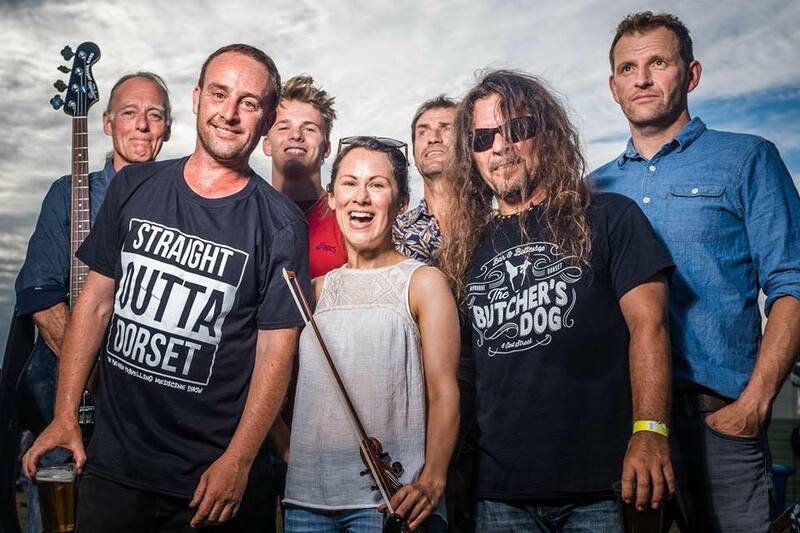 They have played for TV, at large outdoor venues and in small local pubs and are well known in our local area of Somerset and Dorset. In 1992 when grunge was what every self respecting alternative music fan was into, a group of friends who decided to go against the grain formed a band that the likes of Dorset and the world had never seen. 20 odd years ago they started off by busking outside Debenhams in Bournemouth and then played their first gig at the Brunswick Hotel in Charminster. It was after that gig they received their first ever review too- on collection of their gear the following morning, they discovered the landlord's dog had left a rather large message by the drum kit. 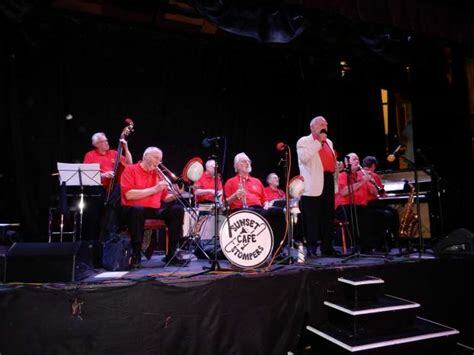 The band was put together from the ashes of skiffle outfit 'Hoedown at Hanks'. a Cult tribute band ' Blue Rain' and local upstarts 'the Crunchy Tractors and quickly went onto busking outside more salubrious locations, Amsterdam Central Station, Copenhagen Homeless Hostels and Cherbourg docks to name but a few. 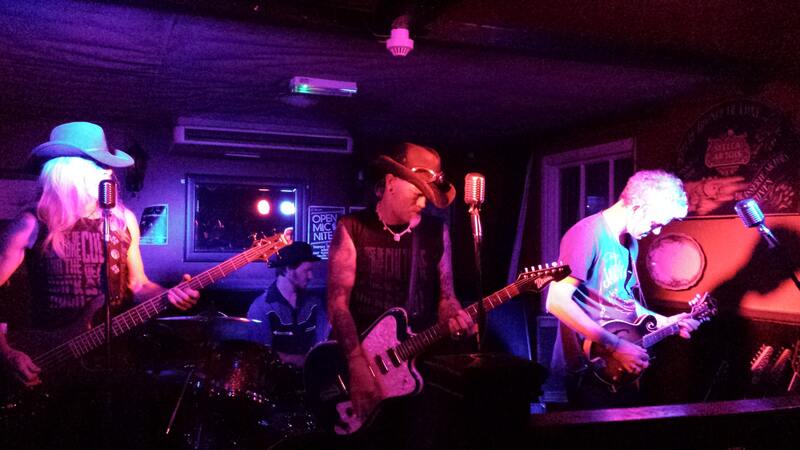 As the band's sound evolved with a mash of punk, country and rockabilly which brought together the band’s very own genre “Cowpunk”, proper gigs soon followed and then the festivals came calling.. The line up has seen many changes over the years but the founder members, Toni Viagra and Lamma are still there, along with newbies(!) Ffi, Krusty, Gypo, Aussie Mike and Andy Law- who've only done the last twelve years or so. 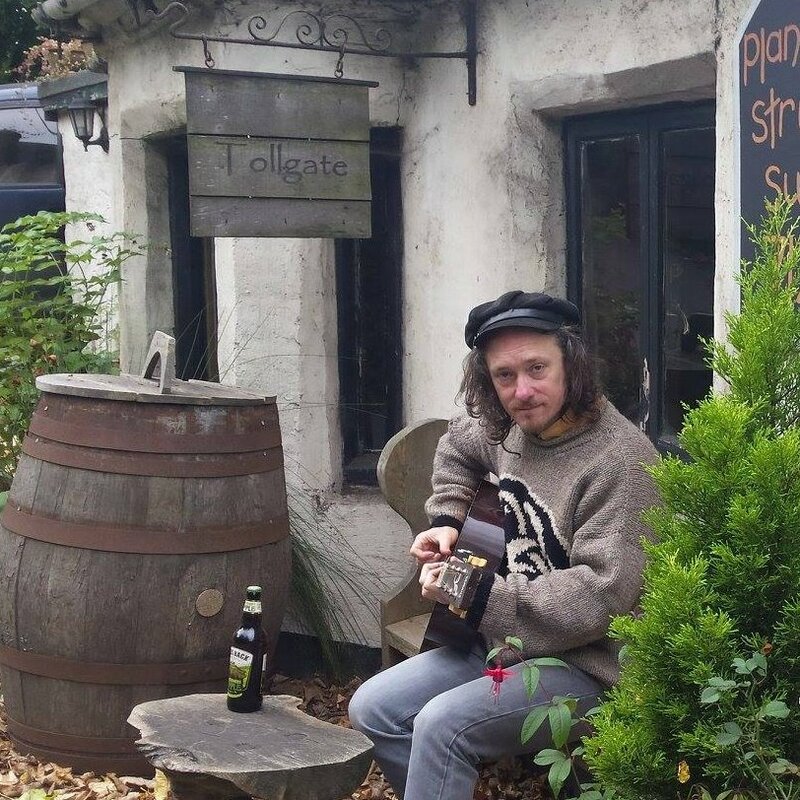 Enjoy an afternoon of gentle folky type tunes. 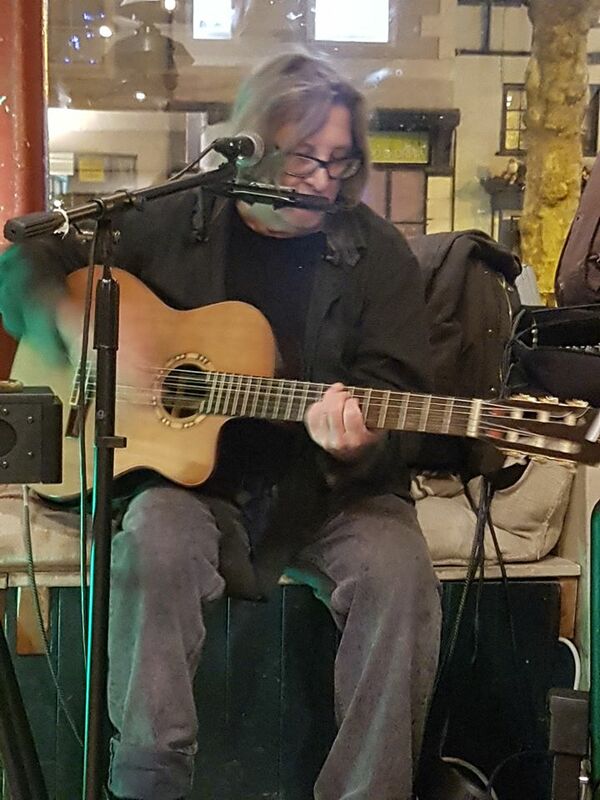 Jim Reynolds is a guitarist and singer who writes and plays an eclectic mix of music. The individual pieces tap into blues, ragtime, rhythm and blues, music hall and folk traditions. 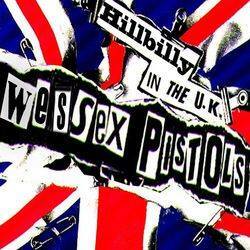 Some are extremely sensitive songs about life, people and relationships, while others are tongue in cheek. 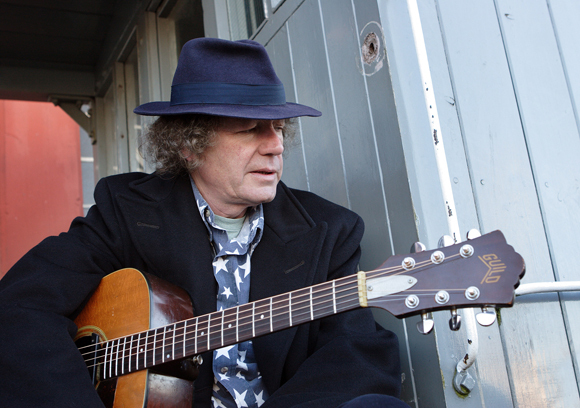 His albums are also sprinkled with classics from the likes of J.J. Cale, Nick Drake, John Martyn, Roy Orbison, the Inkspots, Jelly Roll Morton and Jimmy Rogers. 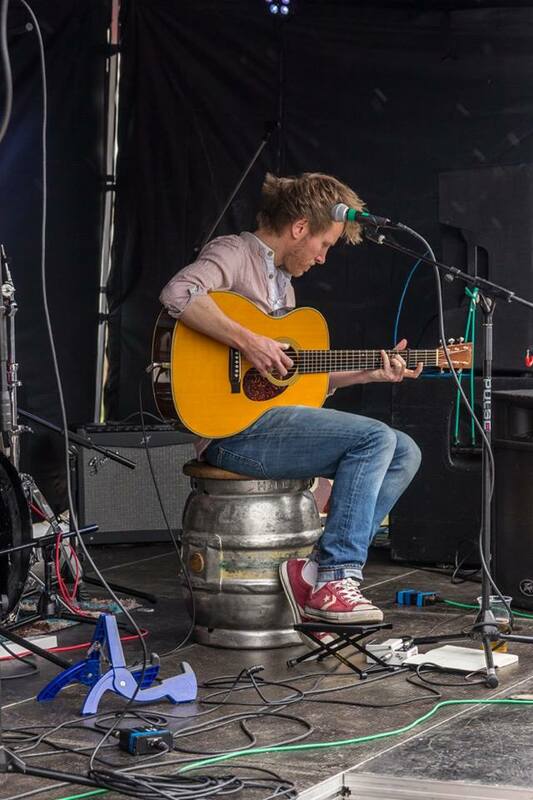 Having played abroad and in the U.K., especially in Bristol, the South West, Wales, the Midlands and recently the South East, at clubs, pubs and festivals, he has honed his singing and playing, creating a rich and cohesive sound. His finely crafted songs and guitar are a pleasure to listen to and live performances are always memorable. Despite the rarity of 'happy' tunes, the wry observations and descriptions of peoples' experience are somehow uplifting, delivering a sense of humanity and intimacy. Jim has chosen to play his own particular style of music producing albums appreciated and bought by listeners at live performances. 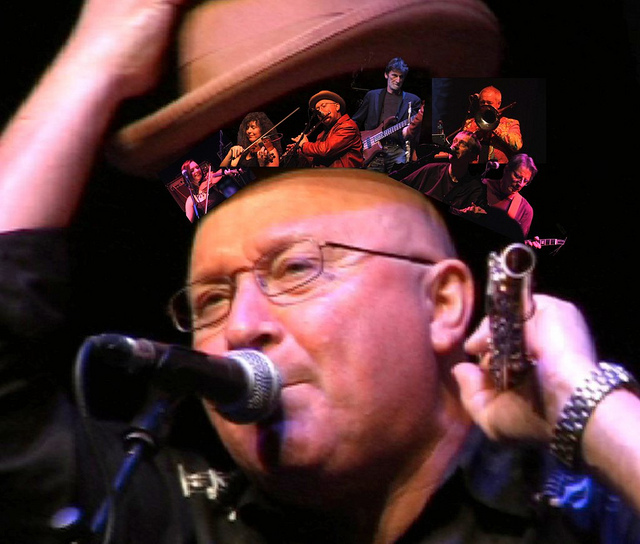 Mutter Slater was the front man and flute player for the 70s cult band Stackridge (produced by George Martin, signed by Elton John): a group that established itself as a firm favourite on countless stages throughout the land and appeared regularly on BBC TV’s The Old Grey Whistle Test and John Peel’s radio programmes. After Stackridge, Mutter returned to a life of quiet domesticity in the South West of England. 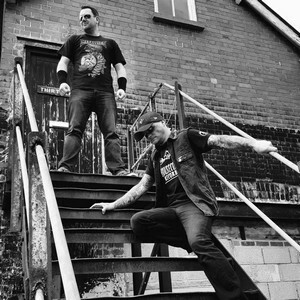 The songwriting and performing bug eventually got the better of him, leading to the formation of his band and a return to the recording studios – Love & Hate in 2006; Riding A Hurricane in 2008 (produced by Billy Bragg) and 2014’s Absobloodylutely. 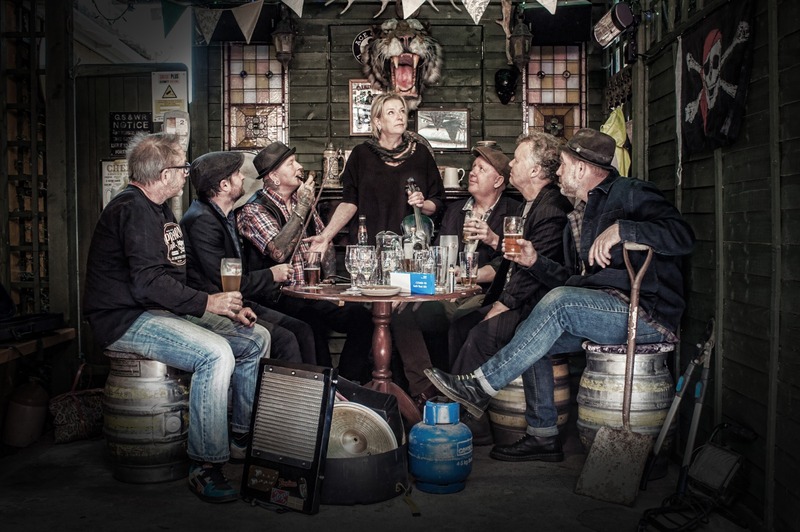 Hobo Jones & The Junkyard Dogs are one of the most original bands that you will find on the pub and festival circuit today. 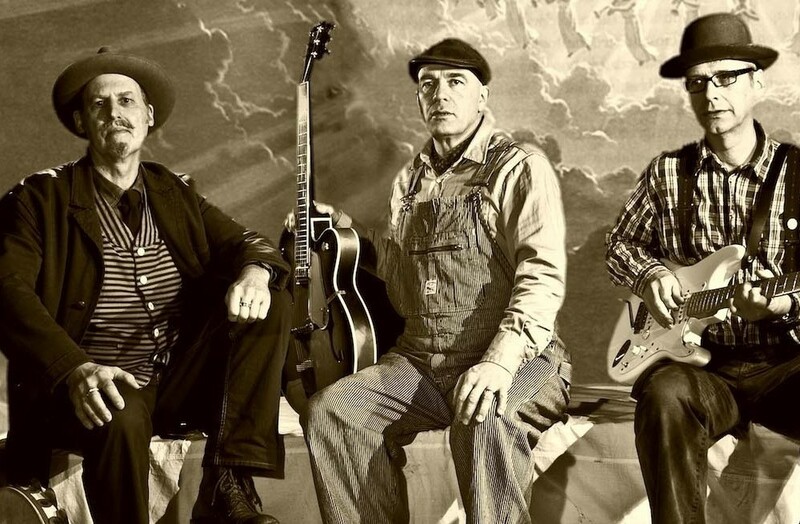 They are 3 guys Wino Tyrone, Miser Bill, and Davey Malone who are from Maidstone in Kent, who at first sight look like three dusty old tramps busking on a stage. 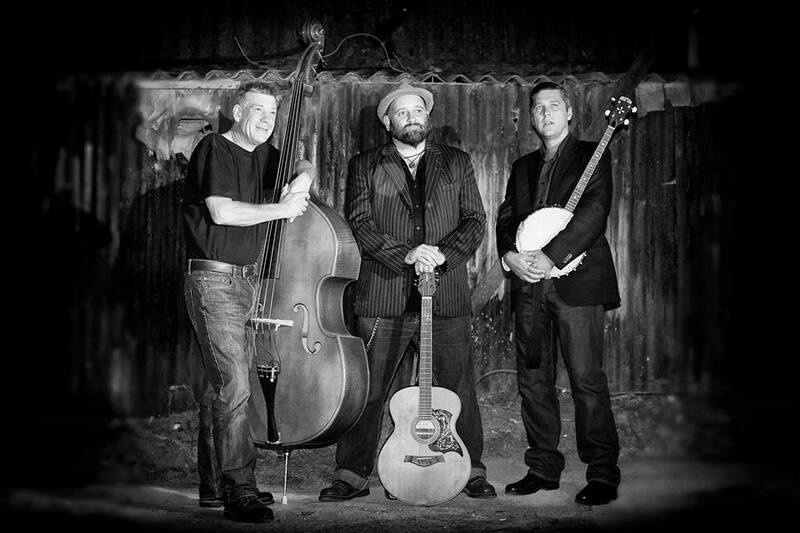 These three guys are all very rich with talent and skills in entertaining any crowd young or old, with their skiffle style of reworking old classics. Their story starts when they bunked over then fence at the Levellers Beautiful Days festival in Devon where they busked their way around entertaining all onlookers. 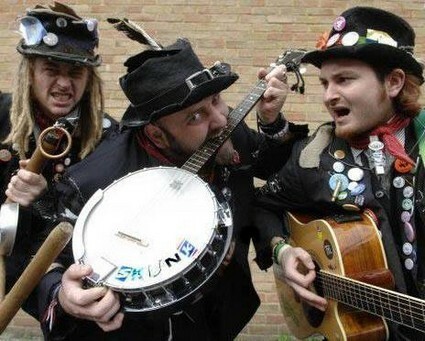 They impressed Levellers front man Mark Chadwick so much he invited them to support his band on tour. 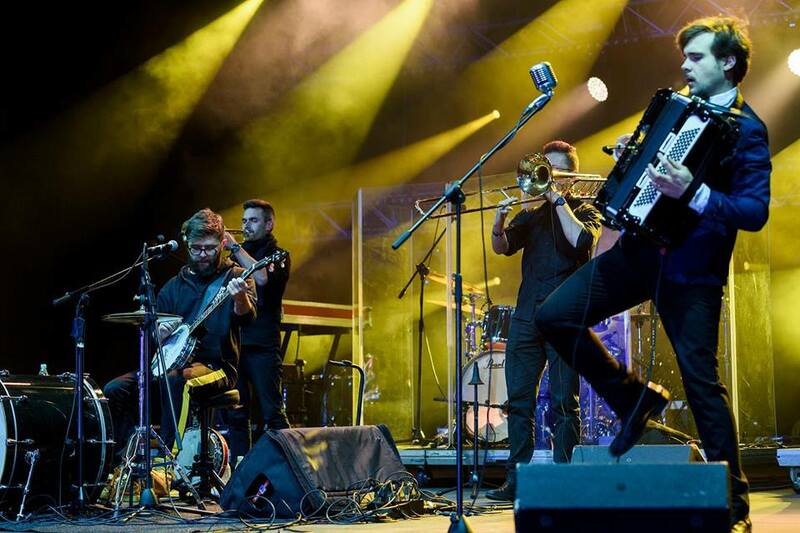 Their popularity has just grown and grown with lots of performances at large prestigious festivals, such as Cambridge Folk Festival, Bearded Theory and Glastonbury, as well as invitations back to Beautiful Days. Ben Morgan-Brown is a singer/songwriter and accomplished finger style guitarist – named by FATEA magazine as one of the ‘Rising Stars of 2018’ and described by Tom Robinson of BBC6 Music as ‘the brilliant Ben Morgan-Brown’, his intimate and often highly personal songs and performances have drawn comparisons to Bert Jansch, John Smith, Nick Drake & Ryley Walker. Since the release of his debut E.P. 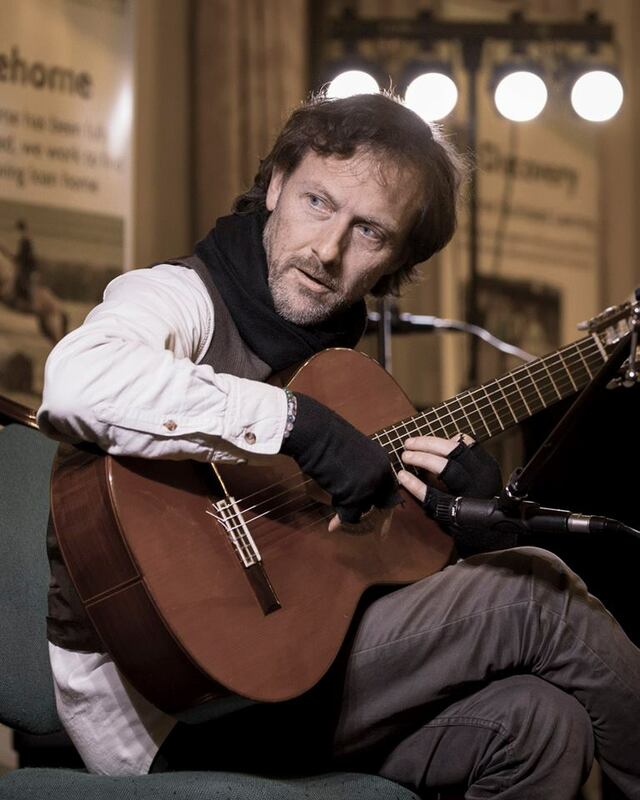 ‘Cold Rooms’ in December 2017 Ben has been performing extensively across the South West and beyond, with appearances at ‘How The Light Gets In’, ‘Bridport Folk Festival’ and ‘Cornwall Folk Festival’ amongst others, and has opened for established and upcoming artists including John Bramwell (I Am Kloot), Harbottle & Jonas, Daria Kulesh, Hannah Sanders & Ben Savage and Tim Jones & The Dark Lanterns. The Sunset Cafe was a top night-spot on Chicago’s infamous South Side. Al Capone owned it, Louis Armstrong starred there. The Sunset Cafe Stompers do play the music of that period... great tunes from Scott Joplin, Irving Berlin, Jelly Roll Morton, Duke Ellington, Fats Waller... but the band’s wide repertoire also features songs made famous by artists as diverse as Patsy Cline, Marilyn Monroe, the Inkspots, Fats Domino... even Elvis. Beneath it all, one can sense the elusive, shifting, pulse which defines the sound of New Orleans. In that city, ever since the 1900s, bands have been hired to attract a crowd, or to add spirit and generate excitement for all kinds of occasion. 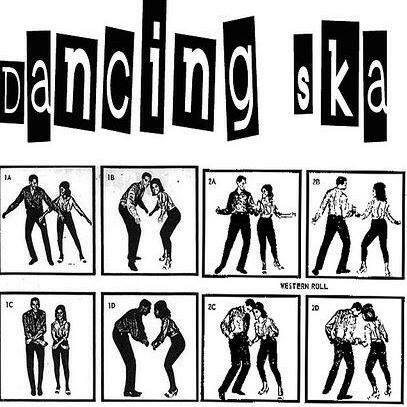 Throughout the last twenty years we have followed in that tradition: playing jazz clubs, concerts for churches, arts centres, village dances, weddings, festivals, funerals, garden parties..
Dorset's finest Rockabilly Stomp outfit. 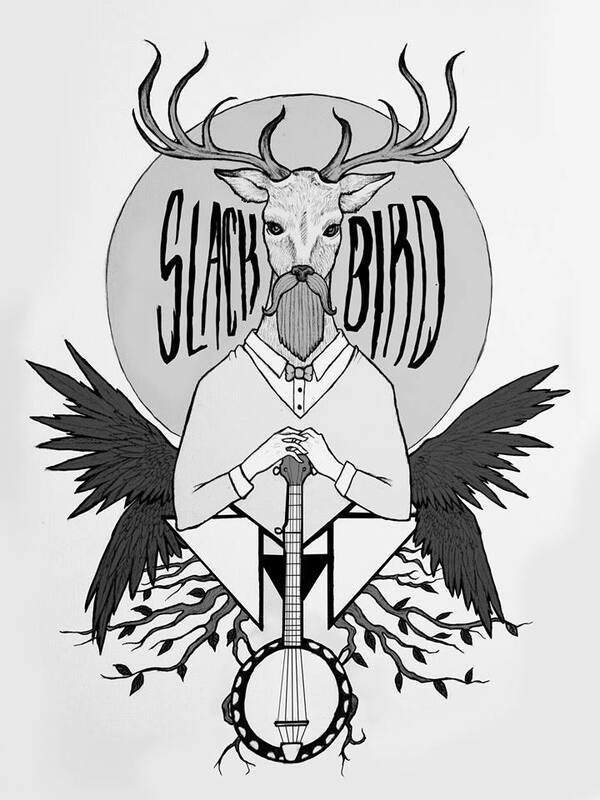 They specialise in a heady mix of old time Hillbilly and well known tunes mashed up with a driving beat.